Did Someone Misplace Their Employee? 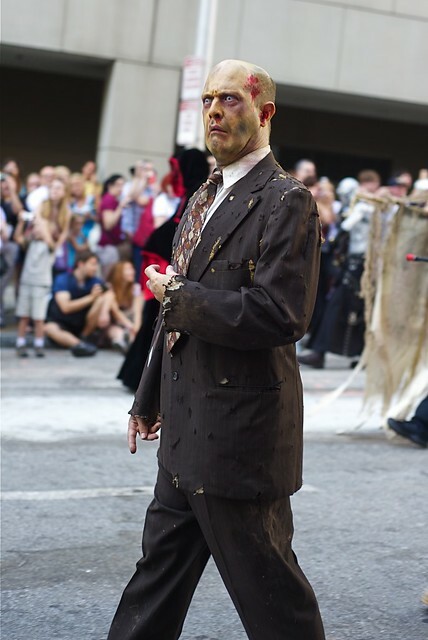 What the hell is Dilbert doing at a Dragon Con parade? What's that? You say he's a zombie? Nah, I've worked in offices where everyone looks like that. Stop being paranoid. But lock the door, just to be safe. You'd think that the guy front and center just spotted a nice juicy lifer to chow down on, but the truth is that he just spotted Elvis. ZOMBIE ELVIS.